It is the policy set by the Board of Directors to provide the highest practical standards of health, safety and environment at all times. We always ensure that we provide a safe and healthy working condition for all employees, and also ensure that our operations do not have adverse effect on the health and safety of third parties as well. To always ensure that management and employees have the commitment and skills necessary to ensure high standards of safety awareness throughout the company, with the ultimate aim of preventing accidents and injuries. We will always keep our employees, relevant authorities and client informed of any potential hazards that may be detrimental to the environment and health/safety of all employees. 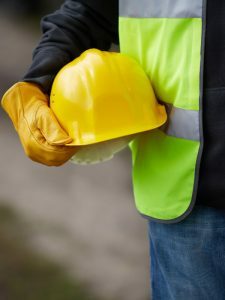 We will observe current legislation and where required, offer any advice relevant to our activities that might assist in improving future legislation for safety at the work place. To continue working with industry and professional organizations in the improvement of established codes of practice, procedures and specifications relevant to health and safety. Finally, no job is so important, no service so urgent that time cannot be taken to perform it safely.